Built in 2001, Halter Marine Services Incorporated (hull #1940) as the Marshall Foss for the Foss Maritime Company of Seattle, Washington. Powered by two, Detroit Diesel 16V4000 diesel engines. With Rolls Royce 2000H z drives, with an 8:1 reduction. Outfitted with four bladed, 106.3(in), N1-AL-BRZ propellers. For a rated 6,250 horsepower. Her electrical service is provided by two, 105kW John Deere T06068T827021 generator sets. 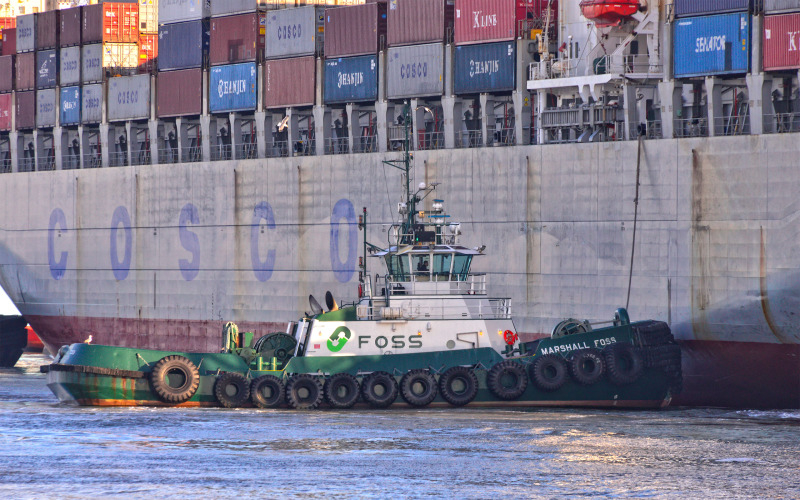 The tug's capacities are 50,900 gallons of fuel, 526 gallons of hydraulic oil, 856 gallons of lube oil, and 3,000 gallons of water. The towing equipment consists of a Markey DYSSG48, hawser winch, mounted on her bow. Outfitted with 9(in) Plasma line. Hailing Port: LONG BEACH, CA.